It’s been blowing a hooley here for the last few days. We’ve mostly been snuggled up aboard Nocturne, who’s been trying to dance around her lines, but yesterday disaster struck not one but TWO boats so I sent the humans out to help. If Nocturne was alone and in trouble I’d hope that someone would help her! 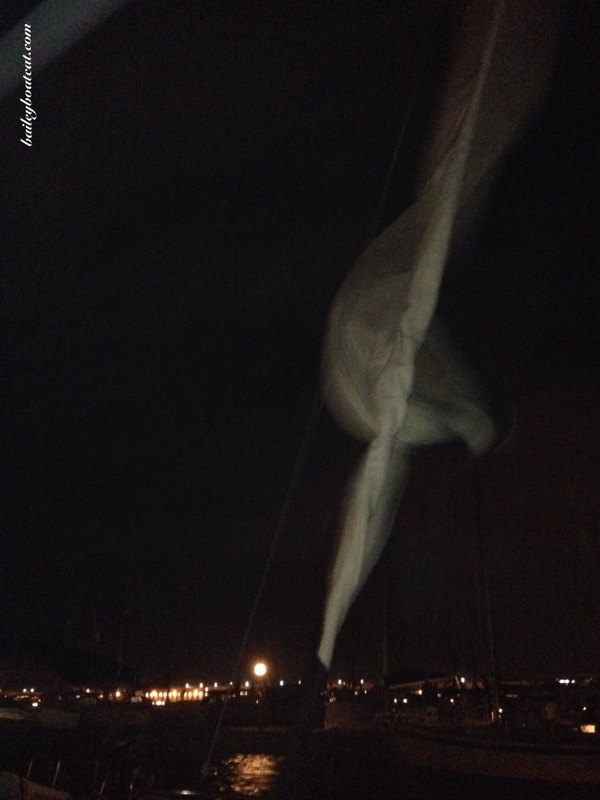 The foresail on one of the boats on the pontoon diagonally opposite us got loose and blew out… This is REALLY bad in strong winds because it can get ripped literally to shreds if it’s left to the mercy of the wind. My humans and our friend Jose went to rescue it. 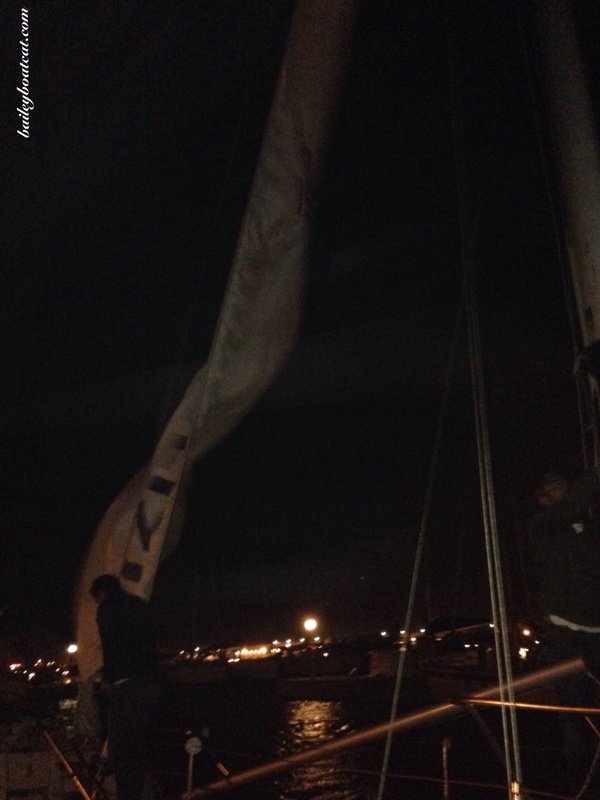 They tried to furl it back up again but it was jammed so they dropped the sail. This boat is moored just behind the marina wall and they got absolutely drenched in sea salt from the spray coming over! Once they’d tied the sail safely into the cockpit they came home and I made them leave their salty clothes outside before insisting they took a shower. 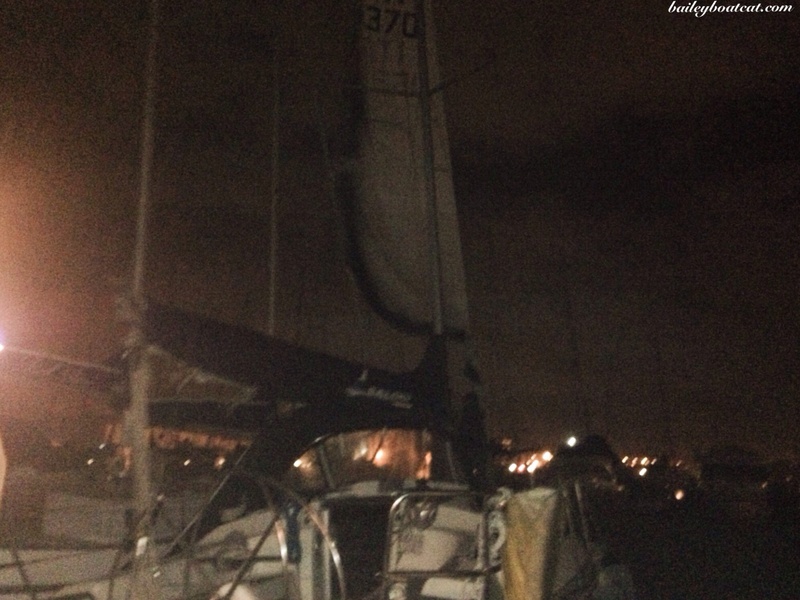 A couple of hours later, thankfully after a tasty dinner, we heard the familiar flogging sound of a sail in distress and yep, you guessed it, when we popped our heads outside we saw ANOTHER boat with exactly the same problem. Luckily for the humans this boat was on the pontoon directly opposite us and they didn’t get drenched the second time. They dropped that sail too and tied it up safely. I think we make a great sail team. Nice job of organizing your humans! With winter comes the heavy winds. It’s very windy in Las Vegas in winter. 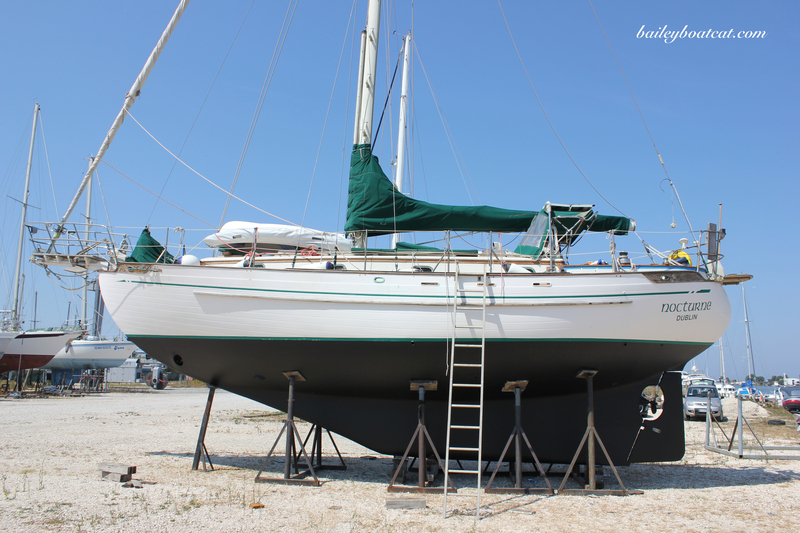 It’s great the sailing community takes care of it’s own. That was super cool of you all to do those good deeds for your fellow boaters – saved them a lot of money in new sails by helping them out! Good deeds bring good luck – you guys deserve that and more!! Scary stuff, glad that you and your family helped the others in distress. Wishing all of you safe. Awww you’re hoomans are so kind! Yikes! 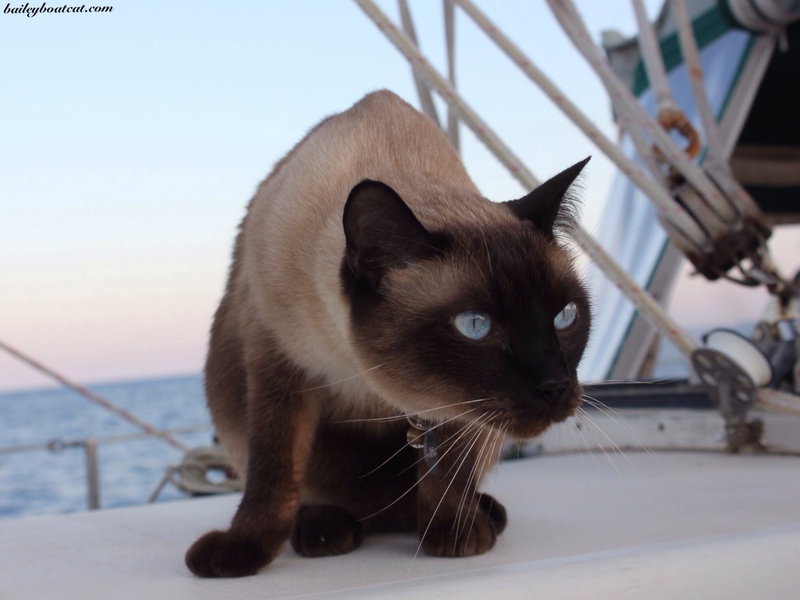 I think your humans are the Sail Police! They are good neighbors looking out for their friends. And you’re a great snoopervisor. I think that is awesome how the sailing community looks out for each other – it is a rare quality these days. Thank goodness you were there to let them know what was going on so they could go help. Bailey, you are a good cat for directing your peeps to the assistance of others! Do you get a treat every time you ‘loan’ them out? Good thing that your humans could help the others ! Hope the storms will go away soon ! !